To appreciate one’s culture is a great form of love. On our way to Banaue, we needed to stop to another municipality of Mountain Province because there was no direct trip going to the famous Ifugao Rice Terraces. For around 2 hours, we had a stop at the humble town of Bontoc. 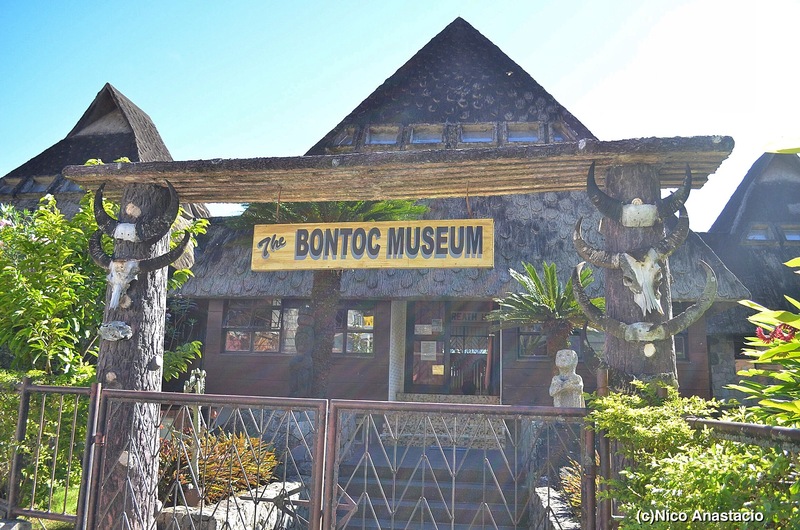 Since the time was long enough for a short tour around the area, we asked the locals about any tourist spot that we could visit, and most of them suggested Bontoc Museum which is near the municipal post office. The museum, according to the Museums of the Philippines, aims to protect both the history and the cultural heritage of the Ifugaos, or the Cordilleran indigenous people group by means of showcasing them to local and foreign visitors. The museum was initiated by a Belgian nun. A wide range of collections is exhibited in the museum. These include a gallery of old Ifugao photos, various traditional costumes, different tools for hunting and farming, among others. Aside from these different Ifugao implements, the museum also exhibits a number of archaeological artifacts including Chinese ceramics which were unearthed from different caves in the Cordillera region. As shown in the photo, we can notice that the museum is unique in such a way that its structure actually patterned after a traditional house of an Ifugao family. At the back of the museum is a model of a traditional Ifugao village. The model village includes almost, if not all, the traditional houses such as the chieftain house, boar house, rice granary, dormitory-type houses, among others. The addition of crop farm and local cherry tree increase the ambiance of a true indigenous village. After some picture takings and gallery viewing, we left the museum and headed back to the jeepney going to Banaue. For more photos on our Bontoc trip, pls view the Life Gallery. It is not allowed to take pictures inside the museum. According to the nun who manages the museum, it is because we want to avoid disturbing the spirits.